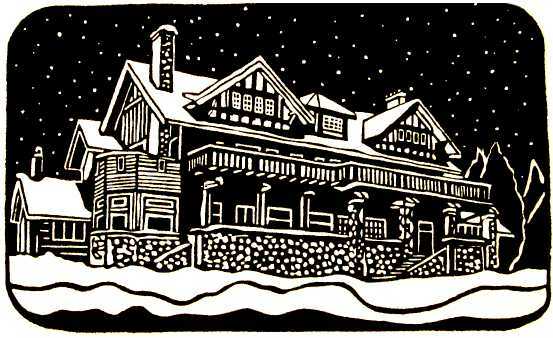 This little print was designed and cut for the Burnaby Art Gallery, as a commissioned print for their 2009 Christmas card. The cards were sent to all supporters and friends of the gallery. It is a view of the south side of the Gallery. It is close to a matching print to the 2017 commission for GALLERY IN SUMMER that was distributed for the gallery's 50th anniversary celebrations. The edition consists of 50 prints on BFK Rives paper, 185 gsm, hand printed by the artist with Daniel Smith acrylic black relief printing ink, using an antique nipping press. All prints are editioned, titled, signed and dated by the artist in pencil. Please note that this print is not available for purchase.